There are 2 different content panes or tabs. The first is the Content Library. It lists all installed files in a typical hierarchy. 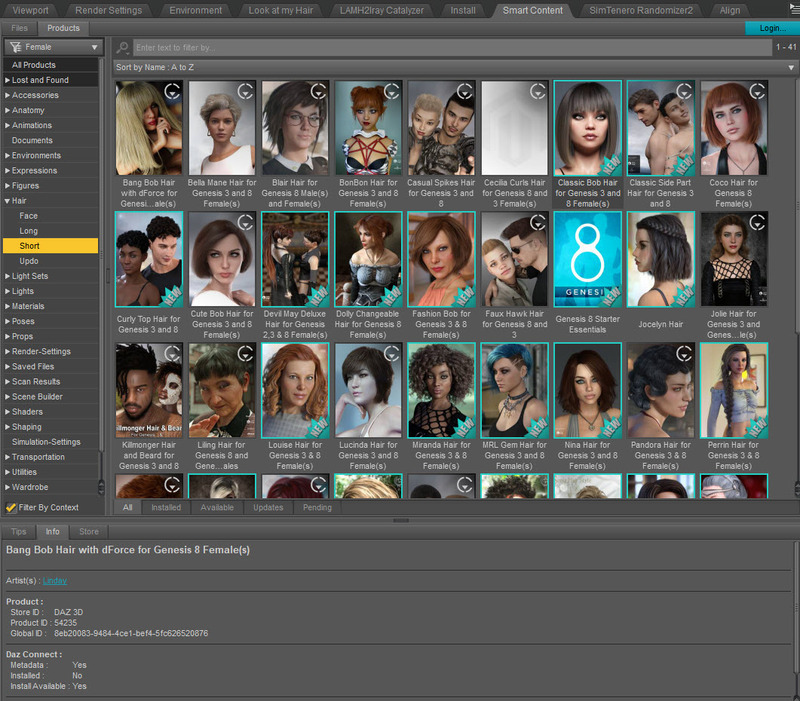 Genesis, Genesis 2, Genesis 3 and Genesis 8 figures and content can be found under “people” in your DAZ Library. This is the pane I use in the videos. The Smart Content pane is connected to the figure you have selected in the scene. 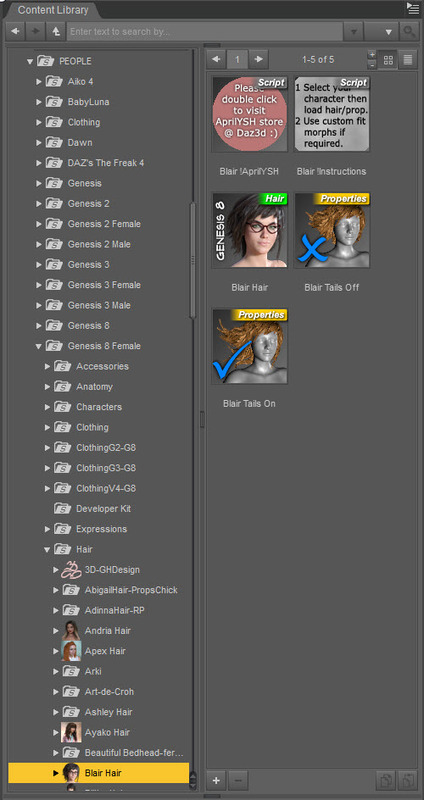 It will sort content by item, such as character, hair, poses, props, etc. If you find your content changes with every figure, that is a clue that you are in the Smart Content tab or pane. The disadvantage of Smart Content is that it does not list all items nor all items that will work with the generation of figure you are working with. The disadvantage of the Content Library is that you may need to open each file until you find what you are looking for.